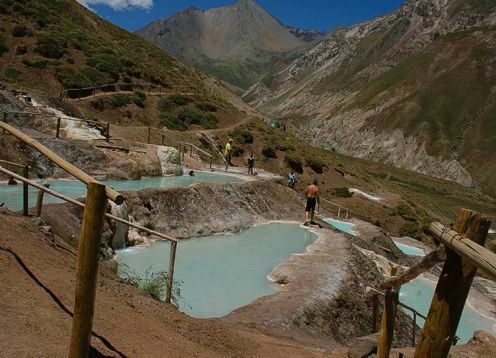 San José de Maipo is a municipality located in the Metropolitan Region of Santiago, Province of Cordillera, 48 km. of Santiago, limiting to the east with the Argentine Republic and surrounded by the east by the Cordillera de Los Andes. Its population is of 13,376 inhabitants, concentrating mainly (70) in the urban areas. 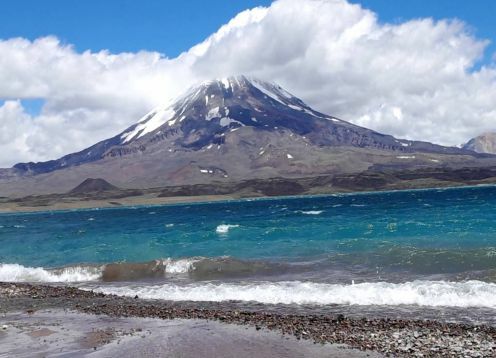 The economic activities include non-metallic mining, the extraction of aggregates, the exploitation of stone quarries, the trade of local products such as almonds, walnuts and handicrafts in stone and alabaster, among others. Its absolute location is at 70 ° 20 west longitude and 33 ° 39 south latitude. 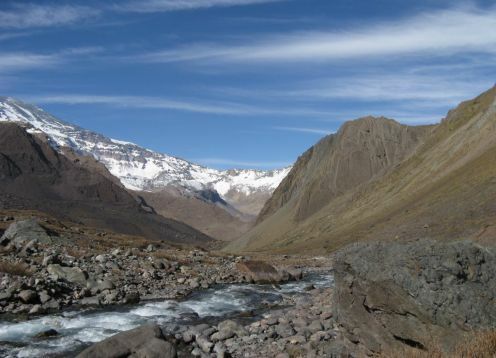 To access the commune, you can use route G 25, which is the continuation of Avenida La Florida; Route G - 345 that connects to the Alfalfal maitenes through the Colorado River, Route G - 355 that connects to Lagunillas; Route G - 421 artery that connects to El Toyo and Pirque. 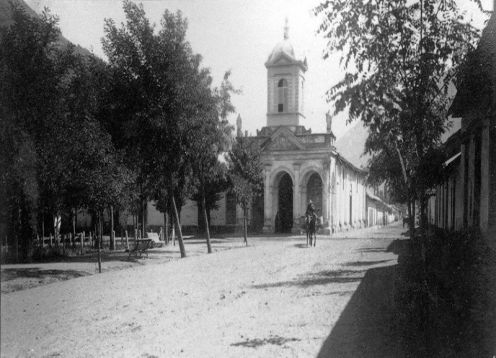 San José de Maipo was founded as a Villa by act of Don Ambrosio OHiggins in 1792. The Governor of Chile and future Viceroy of Peru considered it necessary to give Villa the status of a way to support the mining operations that took place in the area of San Pedro Nolasco In fact, in these mines there was an important production of silver, which was very important for the coffers of the Colony. 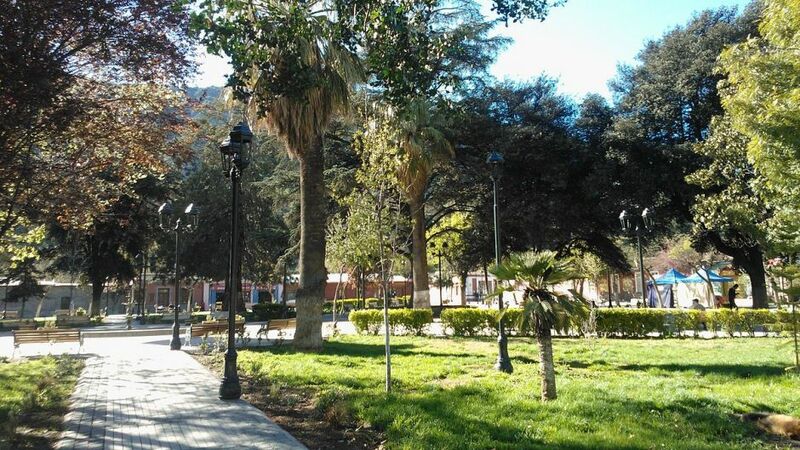 It is then, on July 16, 1792 when the town of San José de Maipo was founded, in honor of San José, with a distribution of 27 blocks of 84 meters per side and cut by nine streets from south to north and four from East to west. The following year, the distribution of the lots was made and the first two were granted to Father José Santos Arambulo, to erect the church and parish house, which will be located in front of the Plaza de Armas. 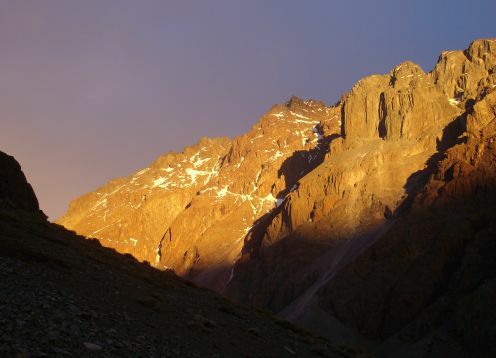 During the nineteenth century the area is the scene of several important events for the independence of Chile, because by its close communication with Argentina, the passage of Portillo was used by a column of the Army of the Andes, managing to beat in retreat to the realistic guard of San Gabriel. 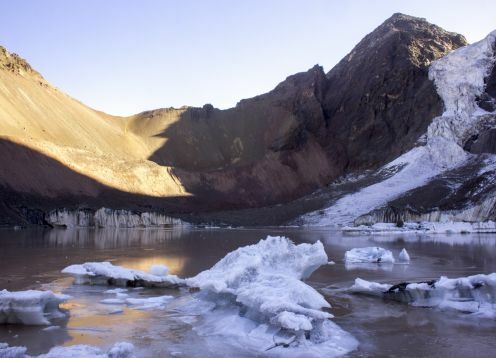 For the twentieth century, the need for electrification in Santiago meant the construction of the hydroelectric plants of Maitenes, Queltehues and Volcán. In addition, the aqueduct was built between Laguna Negra and Santiago, which was key to the distribution of water to the capital. 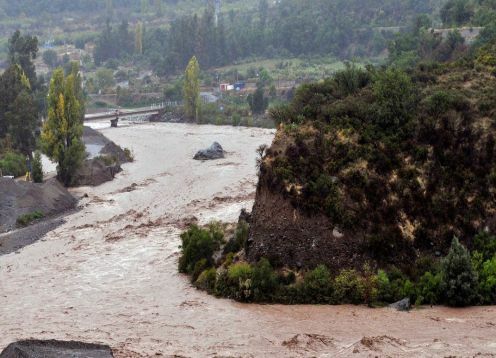 Hence the importance of Cajón del Maipo and its supply for Santiago.